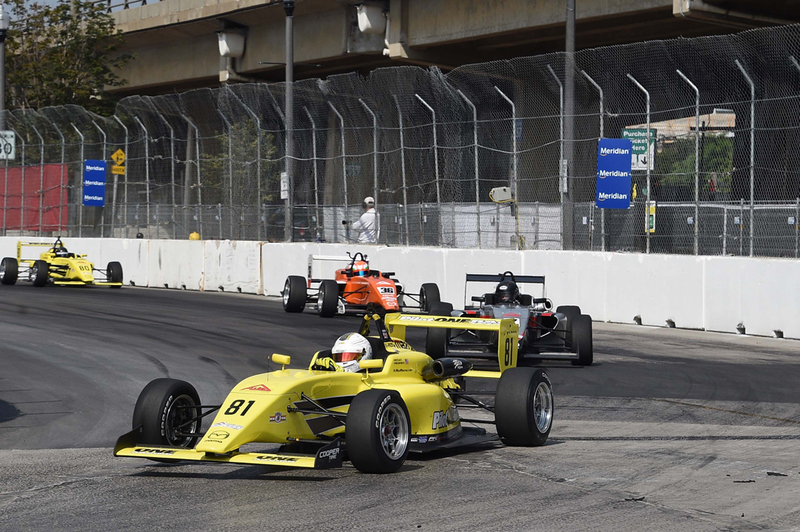 The Toronto street course is arguably the most challenging on the MRTI calendar. On a course featuring bumps, pavement transitions, potholes, manhole covers, cracks, and lined with concrete barriers with no view around corners, there was no room for error. 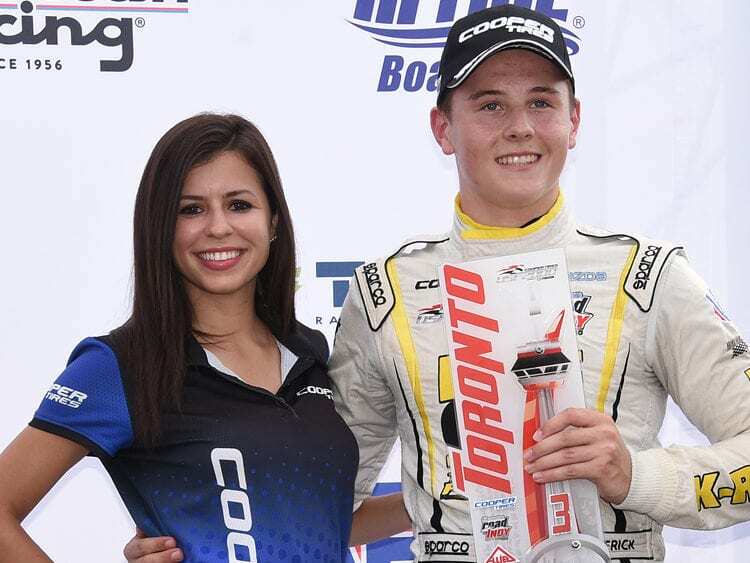 The change in traction from the 12” line laid down by Indy Cars and Indy Lights was dramatic. Drivers had to be focused, committed, and precise. The Maryland native adapted quickly to the 1.5-mile street circuit to secure a solid fourth-place position for Race One, however Kaylen’s day ended early when he contacted the outside wall in Turn 8 on Lap 7. Kaylen’s rear tires came across a large patch of dry-oil. Although K-Rex anticipated the patch and applied only 5% maintenance throttle, avoiding the patch placed him 18” off line and it was enough to step the rear end out. K-Rex caught the rotation but the resulting trajectory drove him into the wall. Qualifying for Race 2 proved challenging as the short 1.8-mile circuit was crowded and Kaylen had to abort flying laps twice due to slower drivers and couldn’t find a clear space to make a run for time. Following a red flag in the short 20-minute session, Kaylen’s electronics rebooted four times in remaining laps due to a battery lead that had worked loose in the bumps, resulting in no lap time improvements and finishing in P13. K-Rex approached Race 2 with the mindset to sharpen street course focus and target hitting his marks every lap on this jarring and bumpy circuit. Fighting through the field, Kaylen applied spirit and skill with pass after pass to push himself to P7 by mid-race. A caution flag gathered up the field allowing other opportunities to gain position and quickly moving him to P5. In the remaining laps, Kaylen secured P3 and the Hard Charger Award for the most overtakes in the race, for a total of 10 positions gained. K Kaylen’s mental approach paid off after the rookie drove a flawless race in the second event of the weekend after starting third from the back of the field. Kaylen’s fastest lap of 1:12.368 had a .2 second deficit to the race winner (1:12.160). 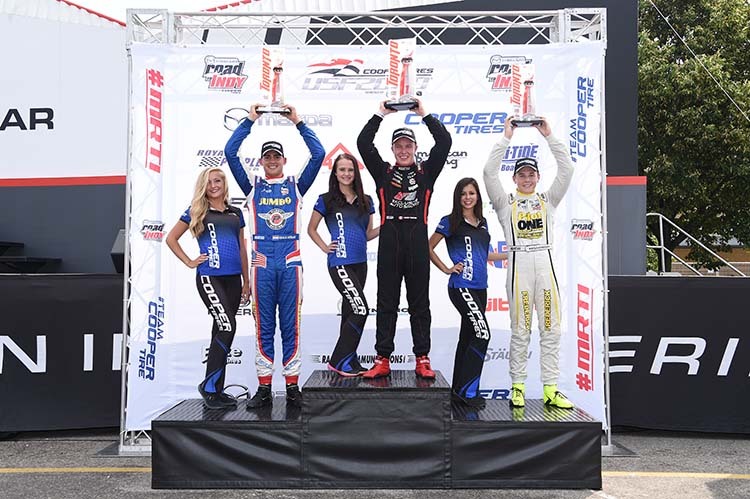 Team Pelfrey travels back stateside to Mid-Ohio Sports Car Course on July 28-30 for the next rounds of the Mazda Road to Indy Championship Presented by Cooper Tires. Please follow Twitter @kaylen_fred, Instagram #kaylen_frederick, or Facebook Kaylen Frederick to keep up with the action. For inquiries contact Chelsea Timmerman at ct@coforce.com .